UPDATED: Thu., Aug. 17, 2017, 9:58 a.m.
WASHINGTON – Fewer Americans applied for jobless aid last week, as the number of people seeking benefits remained close to historic lows. THE NUMBERS: Weekly unemployment applications fell by 12,000 to a seasonally-adjusted 232,000, the Labor Department said Thursday. The less volatile four-week average slipped 500 to 240,500. The number of people collecting unemployment benefits has fallen 9 percent over the past 12 months to 1.9 million. THE TAKEAWAY: The job market appears solid as the U.S. enters its ninth year of recovery from the Great Recession. Employers are holding onto workers with the expectation that business will continue to improve. Jobless claims, which closely track layoffs, have come in below 300,000 for 128 weeks in a row. That’s the longest such stretch since 1970, when the U.S. population was much smaller. 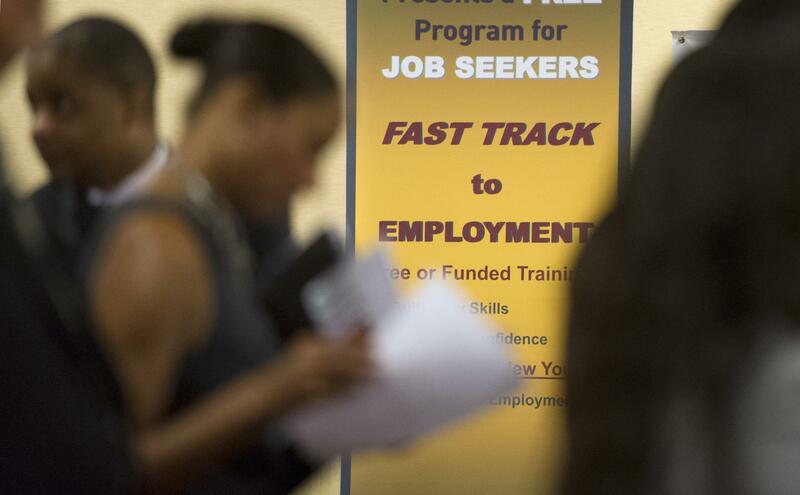 The unemployment rate has fallen to a 16-year low of 4.3 percent. The government’s report for July showed that U.S. employers added 209,000 jobs. More Americans have been coming off the sidelines and finding jobs. KEY DRIVERS: The economy revved up this spring after a weak start to the year, fueled by a surge in consumer spending. The government reported last week that growth in the gross domestic product, the economy’s total output of goods and services, expanded at a 2.6 percent annual rate in the April-June quarter. That’s more than double the revised 1.2 percent in the first quarter. This year, the economy is expected to grow at roughly 2 percent. That would be roughly in line with annual gains during the recovery. Consistent hiring has helped sustain the gradual recovery, although the expansion is starting to show its age as the pace of job gains has slowed this year. Published: Aug. 17, 2017, 9:51 a.m. Updated: Aug. 17, 2017, 9:58 a.m.